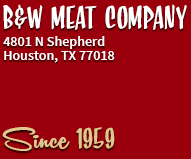 Since 1959, B&W Meat Company has enriched the lives of Houstonians with delicious meats, fresh homemade sausage, deer processing, delectable seafood and groceries. The Heights business founded by G.W. Jerry Wallace remains the starting point for memorable meals, family celebrations and casual get-togethers. 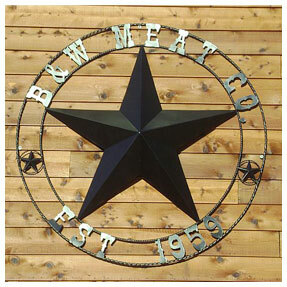 While times have changed, the tradition of customer service, high quality products and knowledgeable staff at B&W Meat Company continues into the 21st century. 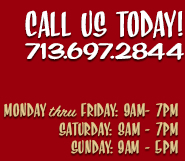 If you haven’t tried our stuffed whole chicken breast or pork chop, you have missed out on a savory delight. The plump chicken breast is packed with a generous helping of our Louisiana-style dirty rice. The thick-cut pork chop is overrun with dirty rice and ready to go home with you. © 2015 B&W Meat Company. All rights reserved.